Whether you’re already experts or just looking to implement an employee advocacy program, you’ll need to prove its value at some point in order for it to become an accepted culture change within the business. Like anything that’s linked to marketing activity, it can be difficult to prove the ROI and there are some red herrings, more commonly referred to as ‘vanity metrics’. However, in order to prove a true return on your employee advocacy investment, you need to make sure you’re getting it right in the first place. Employee advocacy is about brands enabling and encouraging employees to create their own, unique content. This, in turn, builds the employees’ personal profiles, which can then be picked up and amplified by the brand. Then, you get true ROI. And there’s an extra bonus to getting it right: if the content being shared has the passion and authenticity that comes with it being original, it is likely to be far more successful on social media. Back to those ‘vanity metrics’: it’s no good presenting your senior team with information on impressions, reach and engagement. At least, not in isolation. You need to wrap some context around them and only then will they help you understand what’s working and what isn’t. This context comes from having an employee advocacy tool that provides some analytics to back up your metrics. If you can interpret the narrative behind the data, you can sell the concept. Employee advocacy is proven to impact many parts of an organisation and your business case needs to reflect this. When measuring the success of your launch, you need to consider the factors that indicate adoption of the program. Try to identify a breakdown of how people are engaging. Being agile and tweaking things now will definitely lead to greater success in the future – before those bad habits become difficult to break. User activity (who are your early adopters, who is spamming people, whose the least active and how many articles per week, per employee, are being shared?) Once you know these usage patterns, you can set up communications to showcase the early adopters and training to help the spammers and inactive users to get it right. Marketing measurements can take the form of cost per click for paid social campaigns versus this new type of engagement. If things are going well, this should highlight value coming from the employee advocacy scheme even though it’s at an early stage. 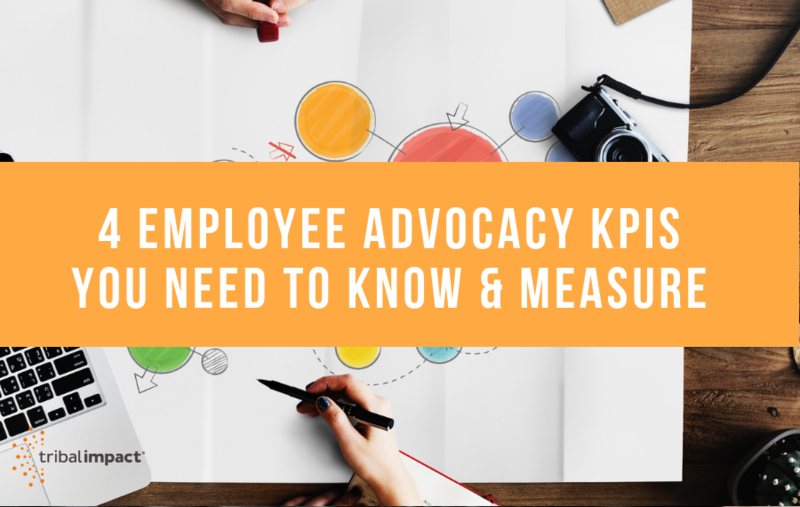 Once your employee advocacy scheme is around six months old, you should start to get a deeper understanding of what your data is telling you. At this point you need to transition towards finding correlations, comparisons and patterns. For example, do advocacy-referred leads generate higher conversion rates? This is also the time to remember that the key to success is firmly rooted in great content. Without it, your program will founder so it’s worth pulling together some metrics to monitor this too. What patterns are there with regard to high performance content? Hashtags? List posts? Certain categories? Of your curators, who submits the most content to the platform? (the most engaged content, the most clicked content and so on? The outcomes of these measurements can be used to fine tune your program further and really maximise involvement from your employees. Finally, you’ve turned your workforce into a sales force; everyone is able to influence the buyer journey and you can really optimise the metrics you are looking at. We know that organisations that take an employee advocacy approach experience higher lead conversion, faster deal cycles and larger deal sizes. But this can only be proven if you stay close to your advocacy program and continually evolve what you are offering as well as what you are measuring.